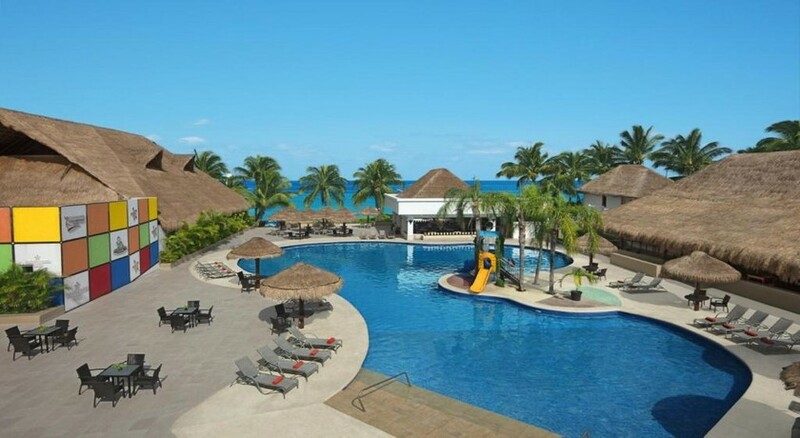 Sunscape Sabor Cozumel is a kid-friendly, luxury resort located on an island off the coast of Mexico’s Yucatan Peninsula. It is fabulous place to spend the summer holidays with your family and your kids, with plenty of activities to keep you and the little ones engaged from dawn till dusk. Enjoy water sports such as scuba diving, snorkelling, kayaking, water volleyball and aqua aerobics, or let off steam on the land with beach volleyball, golf, ping pong and yoga. Kids and teenagers can take part in a range of games and fun activities at the kids’ and teens’ clubs. The well-appointed guestrooms come with family-friendly amenities and offer great views of tropical gardens, pools, or the Caribbean Sea. The dining and drinking options include a buffet restaurant, 3 a la carte restaurants, 3 bars and lounges and a wine cellar. 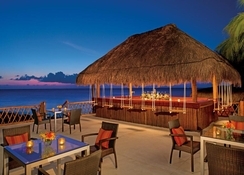 The hotel also provides all-inclusive packages, live entertainment and unlimited access to drink. 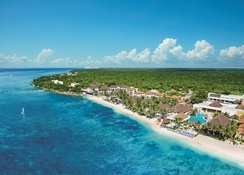 Sunscape Sabor is located in Cozumel island on the eastern side of Yucatan peninsula. Although the island is large, it is easily navigable. The airport 16 km from the hotel. Restaurants are strewn throughout the island. The Chankanaab Beach Adventure Park is 14 km. There is also an aquarium and a dolphin centre within a couple of kilometres from the hotel. The rooms and suites of the hotel are warm, inviting with picturesque views of deluxe tropical gardens, pool and or of the Caribbean Sea. Amenities include king-sized beds or queen-sized beds, strategic views of the surroundings, flat screen TV sets, balconies and en-suite bathrooms. The more expensive suits come with kitchenette, kitchen amenities, Jacuzzi and so on. The colours of the room are bright and fiery and they are perfectly complemented by their modern décor. There are also family rooms and connecting suites suitable for large families. 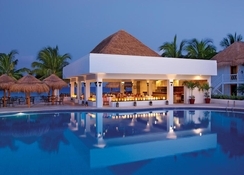 There are 4 restaurants to choose from at Sunscape Sabor Cozumel. Portofino is the hotel’s main restaurant serving breakfast between 7:00am and 11:00am, lunch between midday and 5:00pm and Mediterranean themed dinner between 6:00pm and 11:00pm. Da Mario is an Italian restaurant serving a-la-carte lunch between 11:00am and 6:00pm. El Patio is an authentic Mexican restaurant serving dinner between 6:00pm and 11:00pm. Seaside Grill is a specialty grill restaurant serving lunch between 11:00am and 5:00pm and dinner between 7:00pm and 11:00pm. Late night bites available between 11:00pm and 7:00am. La Cava is a wine cellar available for private dining. There are 3 additional bars and lounges as well: Starlight music lounge, Coconuts beach bar and Tortuga ocean view bar. 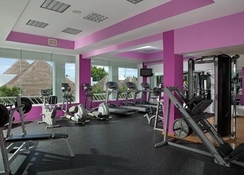 There are 3 swimming pools, a fully equipped fitness centre and many other facilities to keep you busy. 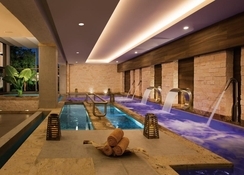 Access to Secrets Spa by Pevonia is included in the package. A range of treatments and therapies are available. Guests can enjoy water sports such as water volleyball, kayaking, snorkelling and scuba diving, as well as land sports like golf, beach volleyball and ping pong. There are Explorers’ Club for kids (aged 3-12 years) and Core Zone Club for teenagers (aged 13-17 years) that organise games, sports, activities and entertainment. 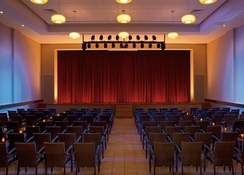 Regular live shows and theme nights are organized by the hotel in the indoor theatre.